Just when I think Paris is done surprising me, another marvel is discovered! I thought a sparkling water fountain was something only dreamed about, but this dream is true! In September 2010, Paris installed its very own sparkling water fountain. 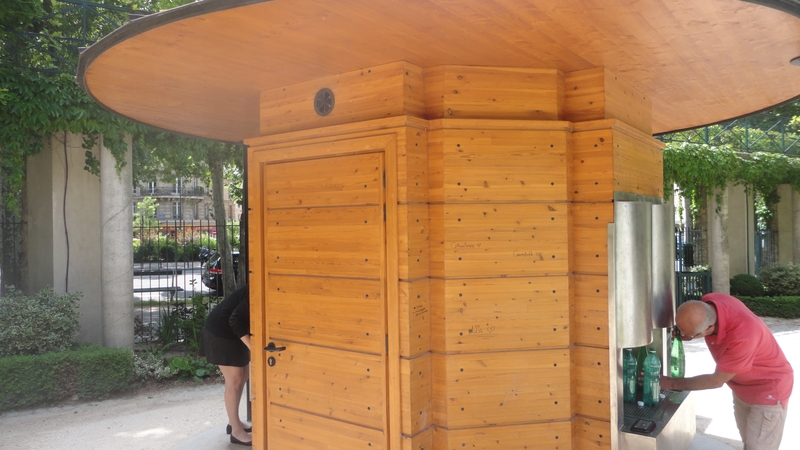 This wooden hut found in Jardin de Reuilly offers both natural and bubbly water! The fountain is run by 6 taps, some mixed with carbon dioxide to provide the fizz. A local treasure not known too well of by locals themselves, many simply walk by the fountain never discovering the fantastic secret that flows within the pipes! Cute Parisian man making his weekly visit to the Sparkling Water Fountain of Jardin de Reuilly. 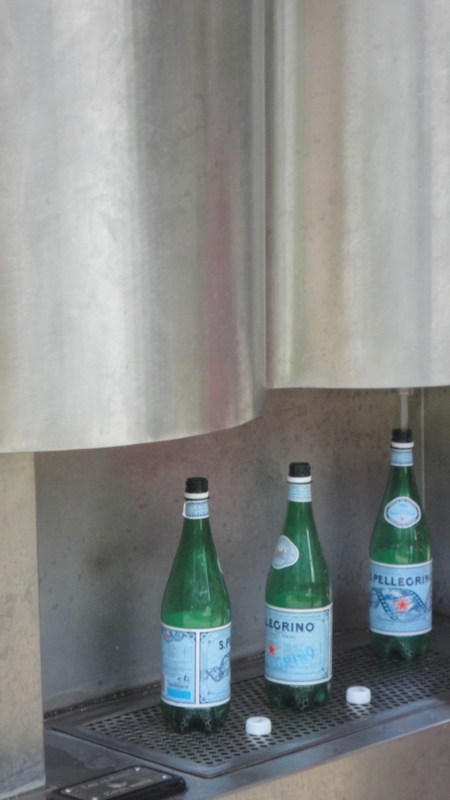 During my visit to the fountain, a sweet Parisian man filled up his 10+ empty Pellegrino bottles (very suiting) one by one, a weekly chore of his since the fountain’s birth. He proudly stated that it was the one and only fountain of its kind in the city, a truly unique gem of Paris. Paris does recycling right! Refilling empty sparkling water bottles with a fresh fizz in the Jardin de Reuilly. After filling up my own 1.5 liter, friends and I contently walked along the Promenade Plantée hiccuping sparkles along the way. Promenade Plantée is an old railroad track that was renovated into a walkway filled with unique flowers, sculptures, sights, and parks along its path in the 1990s. 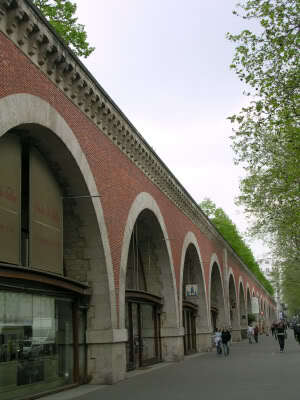 The start of Promenade Plantée near the Bastille. 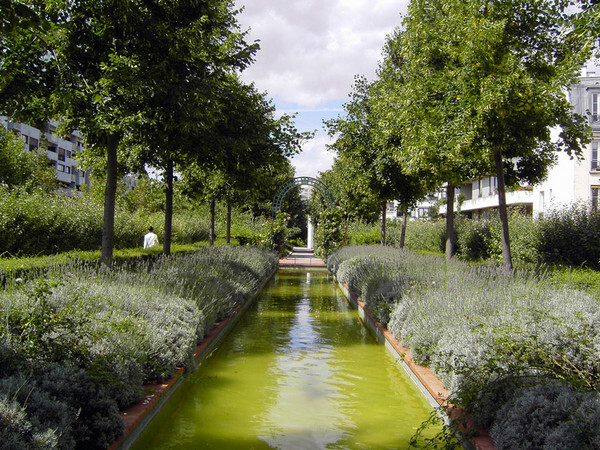 Beginning at Bastille and ending at the Bois de Vincennes on the east side of Paris, Promenade Plantée is another rare gem that is often left undiscovered. Walking along the promenade, one is eye level with the 7-story architecture of Paris and can at any time look down at the rush of city life along the streets below. A flawless blend of nature and city life along the Promenade Plantée. Along with the sparkling fountain found in Jardin de Reuilly, the highlights of the promenade include the Viaduc des Arts, a copy of Michaelangelo’s ‘Dying Slaves’ statues located along the roof of the 12th arrondissement’s Police station, and train tunnels turned into decorated caves. 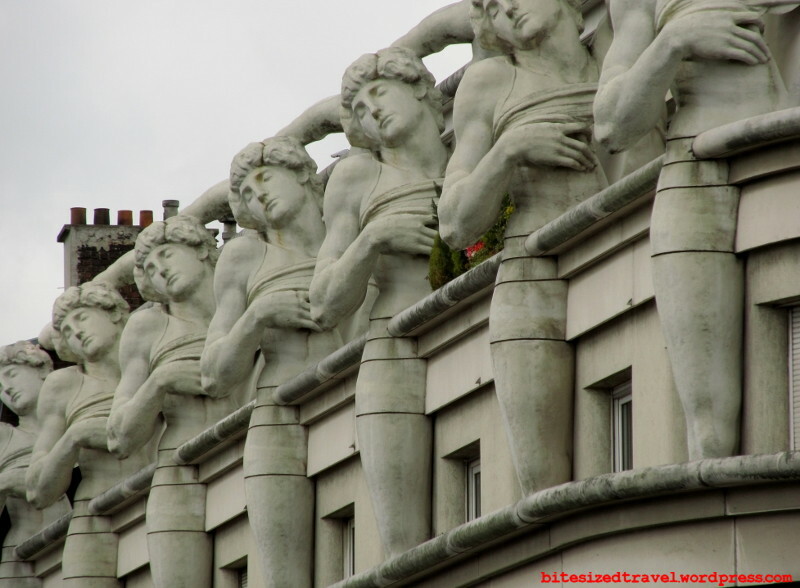 Michelangelo’s ‘Dying Slaves’ located at the top of the 12th Arrondissement’s Police Station. The beauty of nature mixed in with architecture old and new along the Promenade Plantée is awe inspiring, and it is a sight that should not be overlooked. So during your stay in Paris, take a break from the busy tourist lifestyle and slow it down with a walk over the city and a fizzy water break in Jardin de Reuilly.